Here is a breakdown of the teams heading into the Adidas Next Generation Tournament Kaunas. The two-time winners will be a mix of young and experienced. Timothe Crusol, Leo Billon, Maxime Carene, Victor Diallo and Essome Miyem all helped France win the FIBA U16 European Championship 2017 title and then were on the team that finished second at the FIBA U17 Basketball World Cup 2018. Crusol and Miyem also grabbed third place at the FIBA U18 European Championship 2018. This CFBB group also has a major core of the France team that hopes to get back to the U17 World Cup at this summer’s U16 European Championship with the 2003-born trio of Ousmane Dieng, Naoll Balfournier and Yohan Traore. All three played at the recent U16 international tournament in Sakarya, Turkey with Traore being the team’s second-leading scorer at 10.2 points with 4.4 rebounds of the team that won the title. Added to that group are the two 2002-born gems Rudy Demahis Ballou and Yvan Ouedraogo, who teamed together along with Balfournier to help France to a fourth-placed finish at last summer’s FIBA U16 European Championship 2018. Crusol, Billon, Ouedraogo, Diallo, Miyem and Cardene are all back after playing at the ANGT Kaunas last season. This CFBB will be hungry to win games as they will come into the ANGT Kaunas having lost all 20 games in the French third league NM1 – the closest results being a 77-72 loss at Le Havre and a 79-72 defeat at Toulouse, both games coming in October. The three-time continental champions will have a young team in Kaunas with five players born in 2002 – four of them who played on the Russian team that won the title at the FIBA U16 European Championship 2018 Division B to get back to Division A for 2019 – and a chance to reach the FIBA U17 Basketball World Cup for the first time. Among the quartet is Aleksandr Evseev, who was named to the All-Star Five of the tournament. The other three players are Aleksandr Maltsev, Nestor Dyachok and Anton Kardanakhishvili. Those four players made up for the mess that the 2017 U16 team made, being relegated back down to Division B after the 2016 U16 team that had won Division B to get back up to Division A. The 2017 U16 group includes Viktor Lakhin, Vsevolod Tishin, Danila Pokhodiaev and Denis Kovalev. All four of them played on the 2017-18 CSKA team at the ANGT Kaunas along with returnees Filip Gafurov, Vladislav Goldin and Dyachok. Kovalev was the team’s third leading scorer and was second in assists. But the leader of this team should be Lakhin, who is a strong player around the basket and should help create space for others outside. DBA is the evolution of the Vaerlose BKK club that played in the ANGT Kaunas in 2011-12 and ANGT Belgrade in 2014-15. The team, which produced players such as August Haas (one of only six players to register a triple-double in ANGT history) and the Larsen brothers Jacob and Rasmus, is no longer just a club but an academy run by the Denmark basketball federation and has players up to U20 but most graduate at U19. The leader of the team will be Jonathan Klussmann, who was the top scorer of the FIBA U16 European Championship 2018 Division B, scoring 25.0 points to go with 7.8 rebounds and 1.5 assists. August Sturup, Nicholas Posborg and Jesper Stendersoe were also on the team that finished 12th with victories over Norway, Slovakia and Ireland. 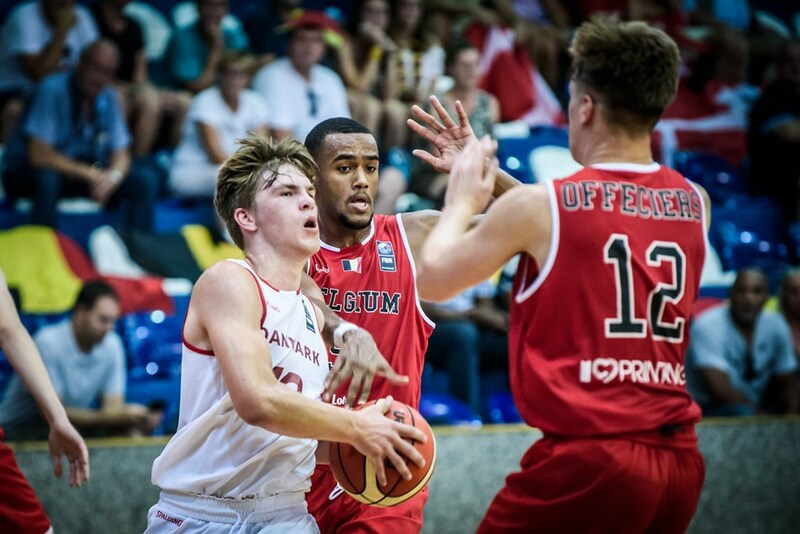 Mads Andersen, Bakary Dibba, Andreas Mortensen and Patrick Pedersen were on the Denmark team that finished 18th at the FIBA U16 European Championship 2017 Division B with wins over Cyprus, Romania and Luxembourg. DBA’s biggest long-term hopeful is the 2003-born Gustav Lund Knudsen, who played at the Adidas Eurocamp in Kaunas last year. He is very athletic with an excellent mind for the game and plays above the rim. Knudsen has had tryouts with Real Madrid on two separate occasions. But it’s unclear how the 2.03m guard will perform in the tournament. The ANGT Kaunas will actually be a return home to Lithuania for one player as Marius Lescevski is a Lithuanian who grew up in the Rytas Vilnius system but ended up in Denmark because his parents are working the country. Lokomotiv is probably the team I know the least about. 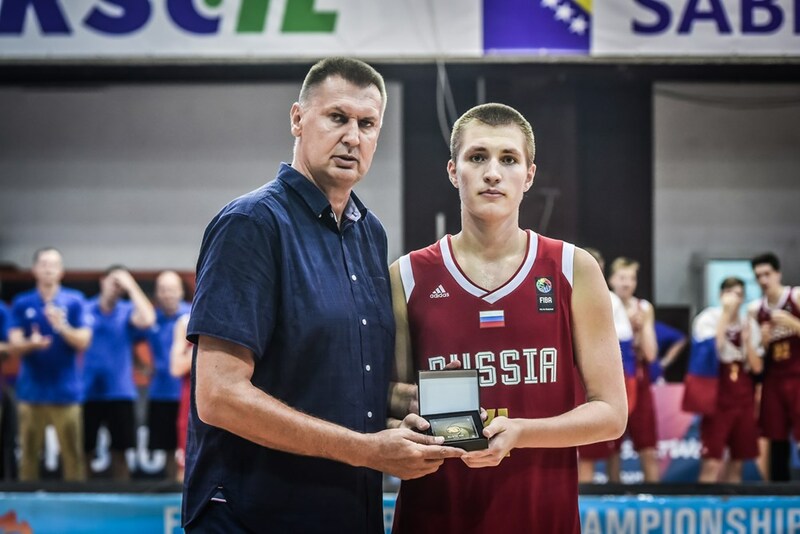 The leader of the team will be Gleb Bednyakov, who was on the Russia team that was relegated at the FIBA U16 European Championship 2017. The champs will have five players back from the team that went undefeated at the ANGT Kaunas and the ANGT Finals in claiming their second crown after 2012 – the 2001-born trio of Marek Blazevic, Erikas Jermolajevas and Ernest Narusevicius and the 2002-born duo of Augustus Marciulionis and Azoulas Tubelis. Blazevic was named to the All-Tournament Team of the ANGT Finals, collecting 20 points and 11 rebounds in the Championship Game and finishing with averages of 13.3 points, 7.8 rebounds, 3.0 assists, 1.0 steals and 1.5 blocks. Jermolajevas was also a major part of the team last season while Tubelis averaged 9.7 points and 2.3 rebounds in the three group games at the ANGT Finals after not playing at the ANGT Kaunas. Many of the Rytas’ players who have international experience as well. 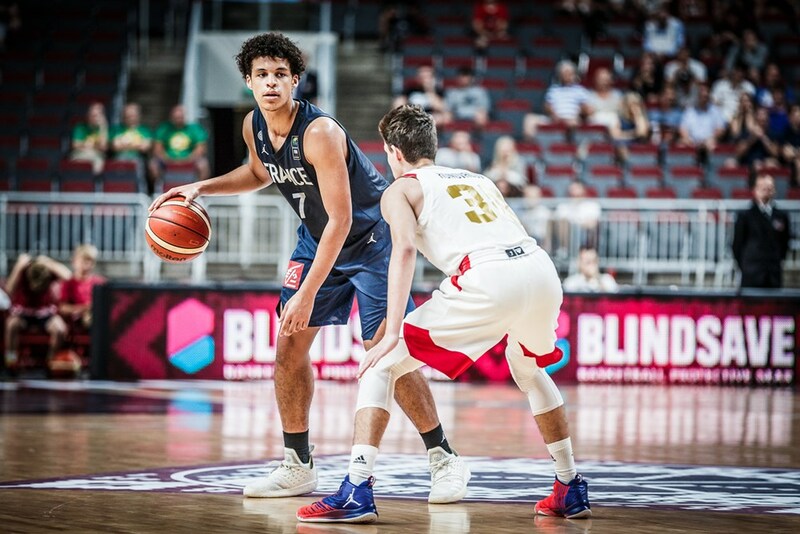 The group of Blazevic, Jermolajevas, Narusevicius and Tubelis have the emotional load of finishing sixth at the FIBA U16 European Championship 2017 to just miss out on the FIBA U17 Basketball World Cup 2018. Tubelis, Marciulionis and Butkus teamed up with Kasparas Jonauskas, Hubertas Pivorius and Mantas Rubstavicius to play at the FIBA U16 European Championship 2018 where Lithuania finished seventh with Tubelis averaging a double-double and Marciulionis averaged 5.7 assists. 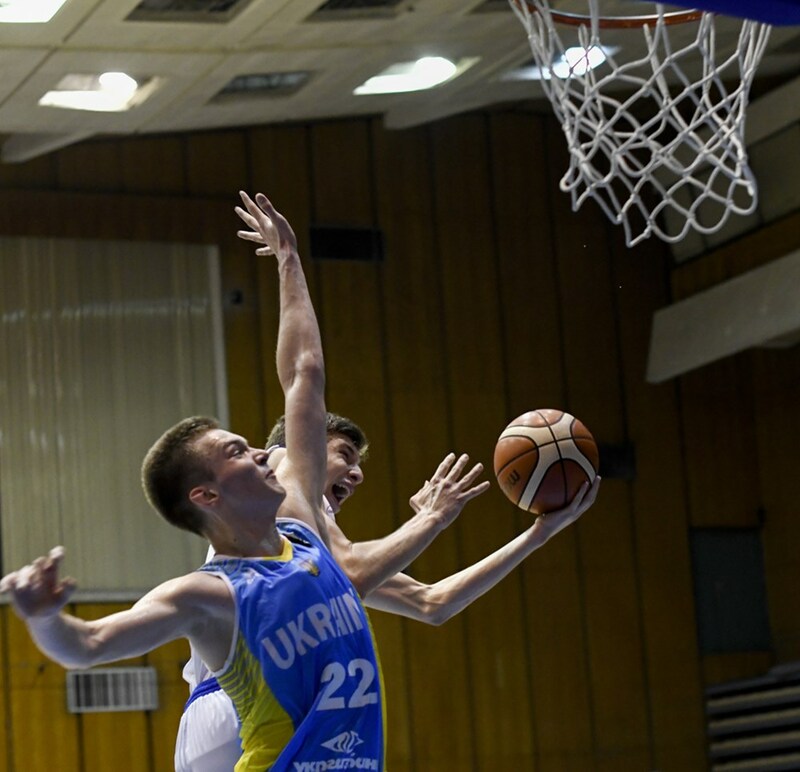 Butkus will likely be one of the leaders of Lithuania’s U16 team this summer at the U16 European Championship looking to qualify for the FIBA U17 Basketball World Cup 2020 and he was the team’s second leading scorer at the recent U16 international tournament in Sakarya with 13.5 points to go with 4.5 rebounds. Stellazzurra lost just two games in the ANGT last season – both to Rytas Vilnius, in the ANGT Kaunas first-place game and the ANGT Finals Championship Game. There are only three players back from that team in Abramo Pene, Yannick Nzosa and Dut Mabor. The 2002-born athletic Pene was the biggest part of the success of the returnees though he only averaged 3.4 points, 3.0 rebounds and 1.1 assists. He will be the major leader of this team and Stellazzurra will go as he goes. The 2003-born Nzosa is still an intriguing long and athletic big man while Dut is a massive man in the middle. But this team is once again full of interesting players. The 2002-born duo of Leo Menalo and Kacper Klaczek – from Croatia and Poland, respectively – are both forwards with good size who can play the three. Klaczek averaged 12.4 points, 6.6 rebounds, 2.1 assists, 1.6 steals and 1.1 blocks at the FIBA U16 European Championship 2018, Division B. Matteo Visintin is one of the rising stars of 2004 for Italy and will be facing competition three years older. Another younger player will be Felipe Motta, who was the MVP for champions Brazil at the South America U15 Championship 2018 to qualify for the FIBA U16 Americas Championship 2019, collecting 28 points and 11 rebounds in the Semi-Finals and 36 points and 6 rebounds in the Final. 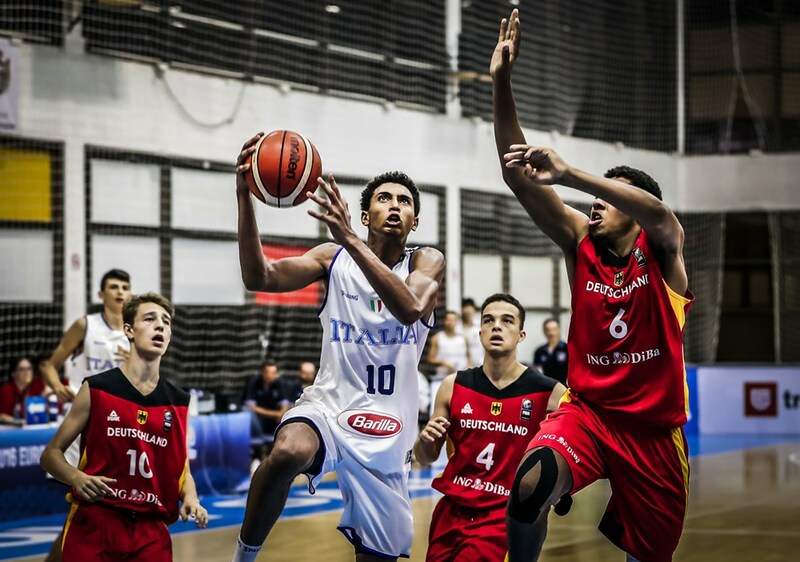 One other player on the team has big-game experience as Lorenzo Querci played for Italy at the FIBA U16 European Championship 2017. L’Hospitalet will be making their ANGT debut as a non-hosting team after years of welcoming the tournament to the Barcelona suburbs. This L’Hospitalet will have three players back from last season’s team with Daniil Cherneha, Mike Duarte and Guillem Tallada. Cherneha is a Ukrainian international who played at the FIBA U18 European Championship 2018 and is a good low post player. Duarte was the team’s third-leading scorer last season while also averaging 2.0 steals a game. Zalgiris will be out for revenge after losing its first game at the ANGT Kaunas, a streak of 22 games at the Zalgirio Arena dating back to 2012. Back from the team that lost to Stellazzurra Rome in the final group game last season are four players Gabrielius Celka, Modestas Kancleris, Nojus Pankratjevas and Laurynas Vaistaras. Kancleris and Vaistaras as well as Lukas Kreismontas and Gytis Macionis all played on the Lithuania team that finished sixth at the FIBA U16 European Championship 2017, just missing out on the FIBA U17 Basketball World Cup 2018. 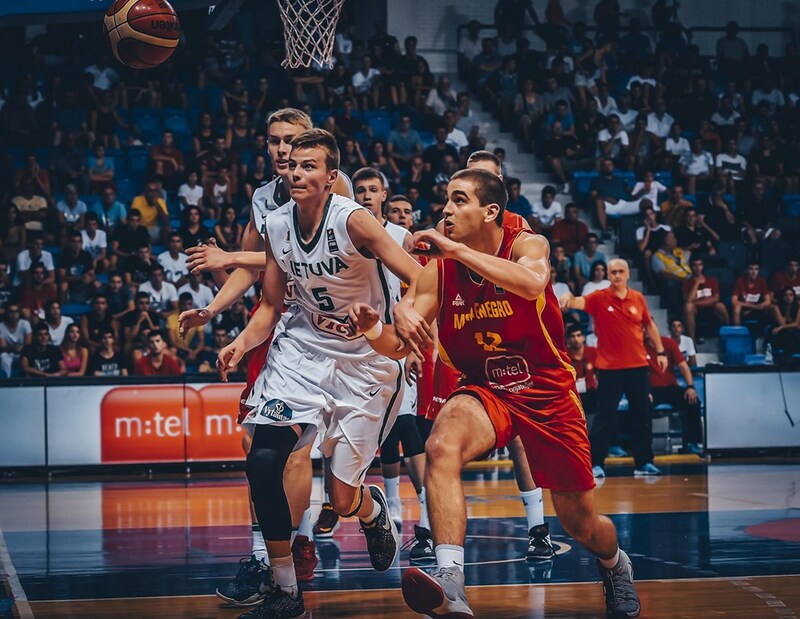 The 2002-born duo of Edgaras Preibys and Matas Repsys played for Lithuania last summer at the FIBA U16 European Championship 2018, where the team finished seventh. The Zalgiris group also includes 2003-born Ugnius Jarusevicius, who helped Lithuania to second-place at the recent U16 international tournament in Sakarya, Turkey, averaging 2.8 points and 3.2 rebounds. 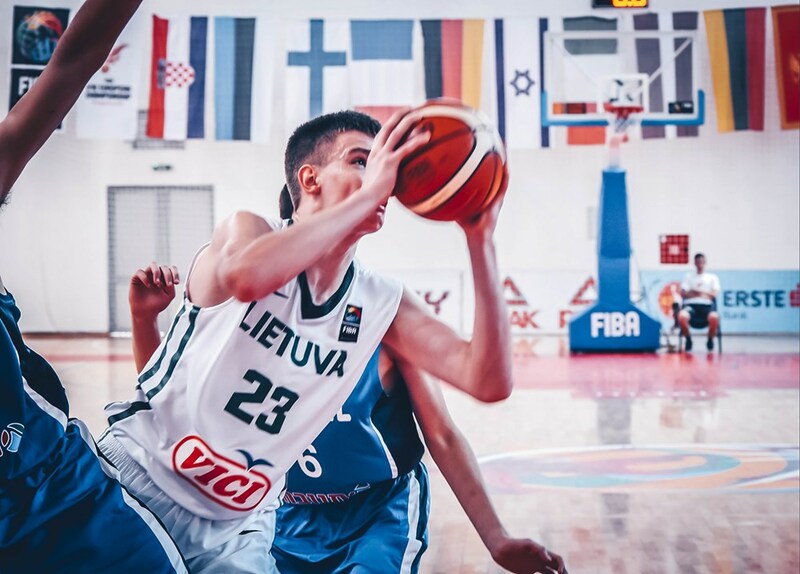 Jarusevicius and the 2004-born Paulius Murauskas will also likely be leaders on Lithuania’s U16 team this summer at the U16 European Championship looking to qualify for the FIBA U17 Basketball World Cup 2020. There are two other intriguing names on the Zalgiris roster with 2001-born Estonian Kerr Kriisa and 2001-born Denmark native Louis Stormark. Kriisa, whose father Valmo Kriisa played until he was 43 years old in 2017, went from Estonia to Germany in the Brose Bamberg system and is now with Zalgiris. 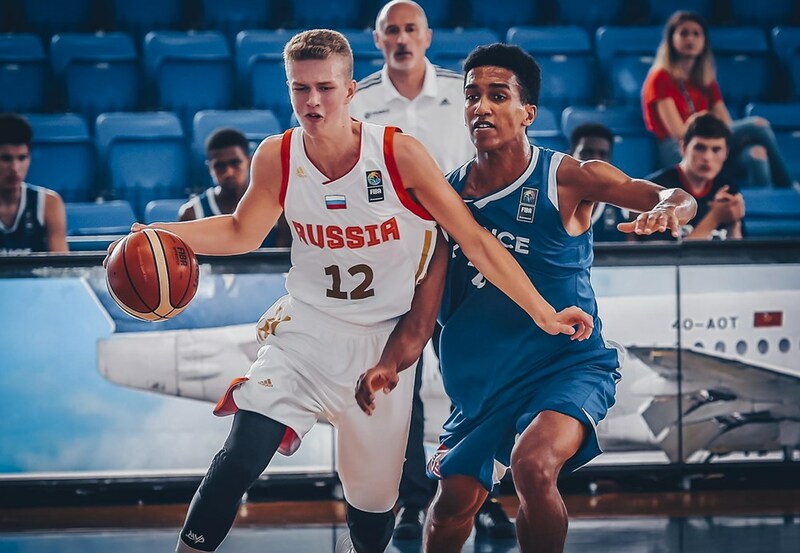 He is one of the top young talents in Estonia and showed just what he can do in the opening game of the FIBA U16 European Championship 2017 as h scored 30 points against Russia and later had 20 points, 7 rebounds, 5 assists and 4 steals against Germany in the crucial Classification 9-16 game to keep Estonia in Division A. Kriisa has been playing with Zalgiris’ second team and is averaging 5.7 points, 1.7 rebounds and 2.8 assists. Stormark came from the DBA Copenhagen system and was looking for a more established program and Zalgiris saw him in a camp and brought him in. He averaged 3.6 points, 3.4 rebounds and 0.8 steals at the FIBA U16 European Championship 2017 Division B.